Thank you for considering bioaccess.™ for your market access needs in Colombia. This Offer will enable bioaccess.™ to assist Amenity Health, Inc. ("Amenity") on its interest in increasing sales of its MedCline Reflux Relief System device in Colombia (the "Device"). We will research the Colombian market and develop for Amenity a strategic and tactical market access plan; this plan will position Amenity for success in Colombia (the "Plan"). The Plan will require a market access analysis and proposed strategies after conducing face-to-face interviews with key opinion leaders, payers (insurance companies and private practices), and distributors of specialized medical devices. With this Offer, Amenity will be able to understand the Colombian market for the Device, will find a reliable partner to fulfill demand for the Device, and will know how to generate demand and increase sales. We look forward to getting started on this exciting project for you. The Offer is subject to a mutually executed confidentiality agreement or clinical services agreement specifying full terms and conditions. By accepting this document, you agree that the information in this proposal shall not be disclosed, duplicated or used for any purpose other than to evaluate the Offer. All of the information contained in this document is provided on the basis of strict confidentiality for only your exclusive use and must not be disclosed to any other party. You should exercise no lesser security measures than those applied to their own confidential material including restricting the circulation of the information on a need to know basis. Why do you need a market access plan? Market access has gained considerable attention worldwide as countries try to contain their escalating healthcare expenditures amidst the global economic slowdown. This has resulted in governments adopting stricter measures for new product approval. Thus, pharmaceutical and medical technology companies are finding it increasingly difficult to successfully address the specific challenges posed by various government and regulatory agencies and stakeholders. There is an increasing need to establish market access functions within medical technology companies; especially in emerging markets, where the complex, dynamic healthcare landscape confounds product approval and uptake. To address the challenges posed by regulatory agencies and diverse stakeholders, a customized market access strategy is the need of the hour. A market access framework with specific tools and tactics will help companies to plan, implement, and monitor stakeholder engagement activities. Over the last decade, the global pharmaceutical and medical technology market access landscape has undergone a significant transition and has garnered substantial attention. This is primarily due to the healthcare reforms promulgated by governments across the globe to contain their burgeoning healthcare expenditures (1). Traditionally, R&D, sales, and marketing have been the predominant drivers of commercial success for pharmaceutical and medical technology companies (2, 3). This traditional market access approach is very linear and involves engaging with physicians, pharmacies, and regulatory bodies for greater product uptake (4), but it includes only pricing and reimbursement activities. However, we define market access as a process that ensures all appropriate patients have rapid and continued access to the product at the right price. This indeed is a broad concept that includes multiple functionalities from a company's commercial, regulatory, supply chain, marketing, medical, and corporate functions. There has already been a recent shift in the makeup of stakeholders to also include patients, payers, and advisory groups due to their increased role in treatment decision making. These changes have forced an evolution in market access to a value-based approach from the traditional price-based perspective. This has made market access an increasingly important area of focus for medical technology companies to achieve success through improved access (3). Generally, market access is perceived as a function that is confined to pricing and reimbursement activities. However, in reality, it is a multidisciplinary field that includes aspects from various other business functions, such as managing channels, stakeholders, and key opinion leaders (KOLs). Of course, the diverse market characteristics and dynamics dictate the market access situations in emerging markets. Reimbursement does not exist in many emerging markets, and where it does exist, there are several restrictions. Thus, access in emerging markets is largely a function of price, channels, marketing to doctors, insurance companies, and government stakeholders. However, medical technology companies working in these emerging markets focus on either individual functions or none at all. In summary, the success of a medical technology depends heavily on a robust market access strategy that is customized to the challenges of a particular market or country. The medical technology industry industry has traditionally relied heavily upon the push strategy to ensure their products succeed in the market. The product approval process was simple: it involved submitting data on efficacy, safety, and tolerability to the regulatory agencies. Once approval was secured, the local distributor marketed the product to the targeted physicians or hospitals and that was it. Thus, market access involved engaging with a limited set of stakeholders: physicians, hospitals, and regulatory agencies. 1.Escalating healthcare costs due to a growing prevalence of chronic diseases, increase in the geriatric population, and higher prices of new therapies: As in developed countries like the United States, where the rise in healthcare cost is an integral function of diagnostic and allied costs, the emerging markets also behave in a similar fashion owing to their recent advancements and reforms in healthcare systems. 2.Challenging pricing and reimbursement environment: Increased scrutiny of the claimed product value by healthcare authorities is restricting the pricing and reimbursement space for new products. Reference pricing and generic substitutions are among the already implemented techniques to improve affordability for marketed products (6). These two factors have resulted in the emergence of a new and diverse set of stakeholders over the years. However, this has increased the complexity of access to the market in general, and to patients in particular. The payer is undoubtedly the stakeholder with the highest prominence. The payer exercises the greatest degree of control over pricing and reimbursement for any new medical product (7). Payers also proactively participate in establishing treatment protocols and have an influence on prescribing behavior of physicians. Payers will continue to dominate the market access scenario and are key to a new product's success on the market (8). Patients today are more aware of treatment modalities and can be expected to demand justification for the price charged for a drug or a medical device. This is because patients have to bear the additional cost of high-priced drugs through co-payments (in such cases, they become payers as well). In addition, Patients are more concerned about the effectiveness of the treatment than earlier, and they are not satisfied with just receiving treatment but also demand a cure. Indeed, the importance of product effectiveness will further increase if there is no reimbursement or only partial reimbursement. Pharmacies are key stakeholders who could influence product access by controlling the availability of the product in the retail or out-of-pocket market. In cases of reimbursement, pharmacies could also influence the choice of brand through substitution. Understanding their dispensing behavior and securing the most shelf space are important for product success. Advocacy groups are gradually beginning to exert their influence as stakeholders in market access, especially in niche therapies where the cost of treatment is very high (e.g., in rare diseases). Moreover, they wield considerable influence in healthcare policy shaping and indirectly affect treatment guidelines. Physicians and KOLs have seen some reduction in their importance in the market access value chain over the years. The growing austerity measures have influenced their prescription behavior to a considerable extent. As companies struggle to spend quality time with these important traditional channels, it will be a challenge to effectively engage and explore areas of common interest. Government bodies and regulatory agencies are a complex group of stakeholders that play a vital role in shaping healthcare policy and establishing a framework for pharmaceutical and medical technology companies to operate within (e.g., setting pricing and reimbursement guidelines). In some countries, they are the payers, and they hold the key to the market and will continue to exert significant influence. Pharmaceutical and medical technology companies will need to effectively manage this extremely challenging group of stakeholders to succeed in the market (9). The decision-making landscape in the healthcare system has become quite complex, with intertwined relationships among various stakeholders. The involvement of different stakeholders in the market access process varies by therapeutic area. Knowing the relevant stakeholders as well as their needs and interdependencies is critical as it greatly determines the success of market access activities. In the developed markets, the market access function has steadily attained importance due to increased awareness of the need for value over existing treatments among regulatory and reimbursement agencies. To deal with this dynamic regulatory environment, pharmaceutical and medical technology companies have started to establish the market access function as an integral part of the organization. However, only a handful of companies currently have a dedicated market access team with well-defined roles and responsibilities (10, 11). Instead, the majority of companies currently have a splintered approach, with market access responsibilities being shared among sales, marketing, and regulatory divisions. In the emerging markets, market access is still not as well structured as in the developed markets. However, the changing market landscape and evolving healthcare policies have led to increased importance of market access functions. Despite this, currently, pharmaceutical and medical technology companies are focusing on individual components of market access (price, channel, stakeholders, and government agencies), but there is no holistic approach to deal with all components together. Moreover, the healthcare policies and regulatory landscapes in these markets are more complex than in the developed markets. Pharmaceutical and medical technology companies thus find it difficult to identify the right stakeholders that need to be engaged as part of the product approval process. Moreover, companies do not have established processes, plans, and talent to circumvent the challenges posed by the various stakeholders in market access. Hence, there is a greater need for a dedicated market access team. Taking note of this, a few pharmaceutical companies have started to establish market access function (10, 11), however, medical technology companies are behind on this trend. Market access involves engaging with all components of a market and with different stakeholders who impact the overall product commercialization process. Thus, customized processes and functions are required to effectively engage these stakeholders. The key challenge is to integrate these processes and functions so as to minimize overlap and duplication, which might result in suboptimal product uptake and wastage of resources. 8.In addition, the market access strategy has to be closely aligned with other corporate functions and implemented through appropriate tactics to ensure product success. A dedicated market access team with a collaborative working dynamic, built through a brand-team culture, will enhance the speed of product uptake and act as a catalyst for organizational growth. The current volatility in the global economy is expected to continue into the near future. Moreover, pressure from governments to contain their burgeoning healthcare bills will also continue. Thus, market access is expected to assume greater significance, particularly in the emerging markets. Pharmaceutical and medical technology companies need to proactively engage with the key stakeholder groups in order to keep up with their potential future needs. This is critical to effective product commercialization since the future success of an organization often hinges on its ability to understand and embrace changes in a dynamic healthcare environment. These changes should not only be confined to organizational structure but also percolate to all business processes. Most importantly, pharmaceutical and medical technology companies must adopt a market-access-oriented organizational mindset. The stagnant developed markets have forced pharmaceutical and medical technology companies to focus more on the emerging markets, which are touted as being the next engines of growth. Thus, growth for pharmaceutical and medical technology company will depend on its performance in these markets. A customized market access strategy integrated with the right processes and talent can help mitigate these challenges, allowing effective commercialization and increased drug or medical device accessibility for patients. Amenity is a medical device company focused on developing novel, non-pharmacological solutions for those suffering with chronic medical conditions. Utilizing the many therapeutic benefits of positional therapy, its devices reduce nocturnal symptoms to promote quality, restorative sleep leading to a higher health-related quality of life. Uncontrolled symptoms of gastroesophageal reflux disease (GERD) can lead to serious health consequences for patients globally. Lack of effective, economical treatment options for these conditions also contributes to the mounting economic burden of increased healthcare utilization and sky rocketing prescription costs. It’s time to change how these chronic conditions are treated. Sleep positioning for the natural treatment of GERD dates back to the 1970s, when researchers began to explore the numerous benefits of (a) inclined sleep for increasing acid clearance time; and (b) left-lateral positioning to decrease reflux episodes. Based on the compelling research of each sleep position independently, the engineering team at Amenity theorized – could adding an incline to left-side sleeping be more beneficial to each position alone? After (6) clinical trials, conducted by top gastrointestinal (GI) researchers across the US, this is exactly what was found. The compounding therapeutic benefits of Amenity's MedCline Reflux Relief System positional therapy device provide unprecedented reflux symptom relief; superior reduction in damaging esophageal acid exposure; and increased patient satisfaction over expensive surgeries and/or anti-secretory medications linked to a growing list of serious side effects. Amenity is successfully selling its product in the U.S. with a direct-to-consumer model. Amenity is interested in exploring the possibility of entering the Latin American market but its Device has no brand recognition in the region. Amenity considers the Colombian market a good test-market to penetrate in Latin America. A medical device for the treatment of GERD is a novel idea and Colombia's benefits health plan still doesn't cover that type of medical technology. In Colombia, patient out-of-pocket costs for medical devices and any healthcare technology in general is lower than in any other Latin America country. Amenity has limited understanding of the Colombian market. Amenity needs market access experts in hopes of guiding it in the right strategic direction to executing a growth plan for its business in Colombia. Amenity understands that it needs someone to objectively do local research and formulate a market access plan (the Plan as defined above) to successfully sell its Device in the country. Thus, Amenity would like to hire bioaccess.™ team of expert market access consultants in Colombia to create the Plan to generate demand (and sales) for the Device. The Colombian medical device market is complex and challenging. The Colombian medical devices market relies overwhelmingly on imports, which made up about 93% of the market during 2017. BMI Research estimates that Colombia will import USD $1.1 billion worth of medical devices in 2018. Since the implementation of the U.S.-Colombia Trade Promotion Agreement (TPA) with the United States in 2012, 96% of U.S. medical equipment exports to Colombia receive duty free treatment. The country’s healthcare infrastructure is adequate in the larger urban areas but is generally in need of modernization and expansion. The Colombian government provides a universal medical system known as the “General System of Social Security in Health” (SGSSS, or Sistema General de Seguridad Social en Salud), which currently covers 96% of the population thanks to Law 100 of 1993, whereby all citizens, irrespective of their ability to pay, are entitled to a comprehensive health benefit package. A financially-solid distributor that can operationalize a direct-to-consumer sales strategy. The Colombian market is desirable, is unique in terms of favorable legislation for patients’ rights, and has ample coverage of the population. Colombia may represent millions in sales for Amenity. It is critical for Amenity to identify the limitations that may prevent the sales of the Device in Colombia and to find ways to successfully enter the market. A market access plan for Amenity in Colombia will require comprehensive analysis including face-to-face interviews with the right stakeholders including payers (i.e., E.A.P.B. ), key opinion leaders, and medical device distributors. The market access plan for Amenity should explore topics such as distribution network, market size, competitive differentiation, key sales drivers, technology preferences, patient needs, packaged services, etc. ; it must identify Amenity's challenges in Colombia, identify Amenity's opportunities, and provide Amenity with a well-thought-out and effective Plan. bioaccess.™ has a team of expert market access consultants that can help Amenity conduct market research and design and implement cost-effective strategies and tactics —as part of the Plan— to help Amenity reach its sales goals in Colombia. Main objective: To propose and implement winning strategies and tactics for brand positioning, sales, and product differentiation in the Plan to generate demand and successfully launch the sale of the Device in Colombia. 1.Identify market size and sales drivers for the Device in Colombia. 2.Identify the critical success factors to create a value proposition to Channel Partners in Colombia around how the Device could reduce nocturnal symptoms to promote quality, restorative sleep leading to a higher health-related quality of life. 3.Extract the opinions of key opinion leaders (i.e., gastroenterologists, internal medicine specialists, pulmonologists, and others) to determine how to have them incorporate into their practices the prescription of the Device. 4.Identify the pathway —within the context of the national healthcare system— to significantly launch sales of the Device in Colombia through the Channel Partners. 5.Quantify, identify, and select candidate distribution Channel Partners for the Device based on their national coverage, business structure, trained sales personnel, prestige, solid finances, and solid relationships with public and private insurance companies. 6.Identify and name the ideal candidates to become Channel Partners for Amenity in Colombia. 7.Operationalize the strategies and tactics suggested in the Plan. Creation of a list of relevant stakeholders to interview. Interviews with leaders at two (2) insurance companies/E.A.P.B., administrators, leaders, and purchase managers. Interviews with ten (10) key opinion leaders (KOLs). Interviews with three (3) specialized medical device distributors. Assemblage and opinion gathering from an advisory board/panel of experts (using the Delphi or similar) with five (5) KOLs. Identification of Amenity's strengths and weaknesses, as well as its external opportunities and threats (SWOT analysis). Identification of Porter's Five Forces (a model that will help us identify and analyze the five competitive forces that shape the Device market in Colombia to help us determine the industry's weaknesses and strengths). Production of the Plan containing market drivers, critical success factors, strategies, and tactics to generate demand and increase sales of the Devices. Identification of the ideal partnership agreement with the potential Channel Partners. Identification of the ideal product distribution strategy and network. Identification of the key success factors to sell the Devices to potential Channel Partners in Colombia. Presentation (PowerPoint or similar format) of the Plan to Amenity. Outreach to select insurance companies and hospitals that place emphasis on prevention and that show interest on disease management programs (the "Target Accounts"). Gather government data on quality indicators for insurance companies and hospitals. Identify and map decision makers at the Target Accounts. Meet and demonstrate to Target Accounts how the compounding therapeutic benefits of the Device could provide unprecedented reflux symptom relief; superior reduction in damaging esophageal acid exposure; and increased patient satisfaction over expensive surgeries and/or anti-secretory medications linked to a growing list of serious side effects. Needs assessment, data gathering and analysis of proprietary data from Target Account. Negotiation and execution of agreements with the Target Accounts. Outreach to candidate distributor Channel Partners. Negotiation and execution of a distribution agreement with one distributor Channel Partner. The Plan (produced in the form of a PowerPoint-type presentation to Amenity) including market research data, market drivers, critical success factors, strategies and tactics. The facilitation of one or more agreements with the Target Accounts. The facilitation of one agreement with a distributor that can implement a direct-to-consumer strategy to sell the Device. This Offer does not include the operationalization of the Amenity Programs at the Target Accounts (e.g., epidemiological design and conduction of an observational or real-world data study). This activity will be quoted on a case-by-case basis. Phase I: Approximately 60 days from contract execution to delivery of the Plan. Access to this market is not easy for newcomers. The market is mature and competitive, with many foreign firms selling medical equipment and medical products. bioaccess.™is a US-based contract research (CRO), regulatory, and market access consulting company that delivers a full spectrum of offerings from bench to commercialization so that foreign medical device companies can have long-term success in Colombia and the rest of Latin America. Our promise is for US or EU medical device companies that believe that Latin America offers untapped potential to test and sell their products. We focus on forward-looking medical device companies that want to conduct first-in-man clinical trials and want to have long-term sales growth in the region. We promise that by engaging with us as your CRO, regulatory, and market access consultants, your company will cost-effectively get the clinical data it needs and will be able to increase its sales in Colombia and the rest of Latin America. bioaccess.™has helped companies like Avinger, Mitralign, and MitraSpan, SANUWAVE, ClarVista Medical, CeloNova BioSciences, Abiomed, Volcano, Mount Sinai's Center For Personalized Cancer Therapeutics, Libella Gene Therapeutics, Medimaps Group, WEP Clinical, Hancock Jaffe Laboratories, Omron Healthcare, and Biomerica —among others— conduct trials, register their products, and/or formulate a winning market access strategy in Colombia. Learn more. Proven methods to deliver results! The execution strategy must incorporate proven methodologies, extremely qualified personnel, and a highly responsive approach to managing deliverables. We first need to craft your problem statement in Colombia. A problem statement is a concise description of an issue to be addressed or a condition to be improved upon. It identifies the gap between the current (problem) state and the desired (goal) state. Focusing on the facts, the problem statement should be designed to address the 5 W’s – who, what, where, when, and why. The first condition of solving a problem is understanding the problem, which can be done by way of a problem statement. Only after the problem statement is written and agreed upon should the solution(s) be discussed and the resulting course of action determined. Before the problem statement can be crafted, the problem must be defined. It is human nature to want to begin working on a solution as soon as possible and neglecting the definition of the true problem to be solved. However, a poorly defined problem increases the risk of implementing a solution that does not fully meet the expected results. A problem cannot be solved if it is not completely understood. The process of defining the problem is often a group effort. It starts with meeting with the stakeholders, customers, and/or users affected by the issue (if possible) and learning about their pain points. Once the problem is understood and the circumstances driving the project initiation are clear, it is time to write the problem statement. A poorly crafted or incorrect problem statement will lead to a faulty solution, as well as wasted time, money, and resources. A good problem statement will address the following areas: a) the ideal situation, the reality, the consequences of not solving the problem, and the potential solutions. There is an underlying problem related to access to the Colombian medical device market that we need to find and address that will prevent the Device from being sold in Colombia (the "Problem"). Amenity needs a thorough market research/analysis that will help us identify its problem statement, identify Amenity's opportunities, and provide Amenity with a well-thought-out and effective Plan. Once we find the Problem, then we will be able to come up with the right solutions (strategies and tactics) as part of the Plan for Amenity in Colombia. In order to find the Problem and achieve the objectives of this Offer, we strongly believe that we need to obtain insights from multiple stakeholders. This will allow us and Amenity evaluate and validate multiple access alternatives in Colombia that will contribute to a stronger Plan with more probability of being implemented with a successful outcome. Research: Identification of Amenity's barriers of entry that create the Problem for Amenity in Colombia. Methodology: We will use our own research, paid interviews, and the creation of an advisory board; this will include all relevant stakeholders. We will assemble an advisory board with key members. This will give us the opportunity to obtain valuable insights so that we can discuss and validate them in real time. Planning: Formulation of strategies and tactics to solve the Problem. Implementation: Operationalization of the strategies and tactics as solutions to the Problem. We will need several experts to execute this project simultaneously in the top four (4) Colombian cities (Bogota D.C, Medellin, Cali, and Barranquilla). This project will need a 0.97 FTE* (6 resources) engaged for the time indicated below. [ORLANDO, FL, July 6, 2018] - Omron Healthcare, Inc. ("Omron") has appointed bioaccess.™ as its market access consultants in Colombia. bioaccess.™ will help Omron formulate a market access strategy and implementation plan in Colombia so that more hypertensive patients have access to Omron's automated home blood pressure (BPM) monitors in Colombia; thus, making it easier for patients to monitor their blood pressure at home and reducing their risk of heart attacks and strokes. Our team is comprised of international senior market access, healthcare, health economics, business development, sales & marketing, and regulatory professionals specialized in the life science industry with extensive experience in Latin America. They have a proven record of developing and implementing market access, healthcare, regulatory and business strategies in the region. Julio has been working with US medical device companies for over 10 years helping them design and implement successful clinical trial, regulatory, and market access strategies. Julio is a recognized medical device expert, and his insights on the medical device industry have been featured on the industry-leading Med Device Online publication. Julio has a B.S. degree in electronics engineering and a masters in business administration (MBA). Dr. Trujillo, is currently an associate professor, at the Health Systems Program, Department of International Health, Johns Hopkins Bloomberg School of Public Health. He is an economist from the Catholic University in Caracas, Venezuela, holds a Masters in Public Policy from Columbia University in New York, and a PhD from the University of North Carolina, Chapel Hill. Dr. Trujillo has been a consultant for the Inter-American Development Bank, and the World Bank, and several life science companies. Dr. Trujillo has has won significant honors, awards, and research grants, has published 48 peer-reviewed journals articles, seven book chapters and reports, and has been an international speaker in over 35 events. Dr. Trujillo is the director of the Master of Health Science (MHS) in Health Economics degree program at Johns Hopkins Bloomberg School of Public Health. He teaches an advanced econometrics course on program impact evaluation using observational data and a course on behavioral economics and public health. Read more. Dr. Spath is physician, surgeon, internal medicine specialist, and has broad clinical experience in the treatment of cancer patients. Dr. Spath has an MBA from Instituto de Empresa in Madrid, Spain. He has over fifteen years of experience in the biopharmaceutical Industry. His main expertise is in oncology and hematology drugs, as well as internal medicine products from companies like Pfizer Novartis and Jazz Pharmaceuticals. He has been the medical leader of critical projects related to medical and regulatory affairs, market access, health economics, clinical research, and core medical strategies for complex and hyper-competitive markets such as Spain, Portugal, Central America, Colombia, and other countries in the Caribbean. Dr. Spath has been part of several medical and scientific activities that involved external stakeholders (e.g., regulatory authorities, key opinion leaders, CROs, advisory boards, patient advocacy groups, etc. ), internal stakeholders (i.e., clinical research, translational medicine, global medical affairs, marketing, health economics and outcomes research), and internal decision committees. Dr. Spath has led several market access and HEOR projects in Spain, Portugal, Central America, the Caribbean, and other countries in Latin America. His work has been instrumental for Pfizer, Jazz, and Novartis, to reach exponential sales growth for drugs to treat solid tumors (breast, lung, renal and gastrointestinal cancer), and leukemia. 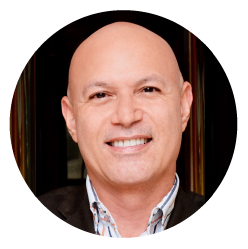 Carlos has worked opening new market for several globally-renowned companies such as Cadbury Schweppes, Proctor & Gamble, Walmart, and Omron Healthcare, among others. From 2008 to 2018 Carlos was the Latin American & Caribbean Senior Business Development & Sales Manager for Omron Healthcare —a global manufacturer of consumer home health monitoring equipment with $7B in annual sales. While at Omron, he tripled sales in the region to over $11M, developed sales and marketing strategies to expand Omron products from specialty to consumer products; and lead the consumer, channel, pricing, competitive positioning and marketing plans for all product categories. He also lead the expansion of Omron products into new channels and new countries, created innovative marketing strategies, supported the regulatory registration process across all markets, and trained and continuously lead Omron's regional sales team to surpass Omron’s sales goals. Carlos was honored with three Omron awards and two trade association awards for workplace excellence. Carlos is based in the Miami, FL area and has a Bachelor of Arts in finance and international business from Florida International University. Adriana P. Rodriguez, EPI, M.R.M. Adriana has a bachelor's degree in bacteriology, a master's degree in quantitative research methods in epidemiology, and is a PhD. candidate in epidemiology at the Autonomous University of Madrid, Spain. Adriana worked for the National Institute of Health in Colombia (2004-2005, 2008-2009), and assists bioccess.™managing a myriad of projects. Monica leads the company's operations, logistics, accounting, human resources and general corporate and project-related administrative matters. Monica has worked for global companies including Alcatel-Lucent and Toshiba. She has a B.S. degree in computer sciences and graduate studies in business management. Validity: This Offer is valid for 30 days. Payment terms: Upon acceptance of the Offer, bioaccess.™ will invoice 50% of the professional fees upon contract execution and the remaining 50% upon presentation of the Plan. Upon commencement of Phase II, bioaccess.™will invoice you (in advance) 100% of the proposed monthly fee, and will continue to invoice you until the end of the engagement. Invoices are payable upon receipt. Acceptance of the Offer: You will accept the Offer subject to bioaccess.™ and you (the “Parties”) executing a formal services agreement (the “Agreement"). It being understood that if you accept the Offer, the Parties shall in good faith use their best efforts to execute the Agreement as soon as possible. Timely approve and provide any request of information and documentation. Ongoing availability and collaboration to participate in scheduled meetings and project management activities. Facilitate meetings with key personnel and decision makers. Provide us with your sales expectations or forecasts. Provide us with the technical file of any product involved in a sales opportunity and other sales-related documentation including sales and customer data if applicable. The prices in the "Pass-Thru Expenses" section are provided for your convenience, for informational purposes, and to help you budget your total project investment. bioaccess.™ makes no claims about the accuracy of these expenses nor that these will be the actual expenses that bioaccess.™ will incur while performing under this Offer. Project-related expenses such as national and international shipping & handling, courier services, photocopying, printing. Travel-related expenses such as airfare, lodging, ground transportation, meals. Translations of letters, certificates, technical and legal documents (bioaccess.™ will invoice translations at bioaccess.™'s standard rate of USD $0.25/word in Spanish). Filing fees imposed by government agencies. Contract templates and legal fees related to the drafting and execution of legal agreement between you and a third-party. Third-party fees or compensation. bioaccess.™ will invoice these items as they occur. bioaccess.™ may require payment in advance of pass-thru expenses based on the projected amounts. bioaccess.™ will provide supporting documentation of pass-thru expenses and will adjust your account balance accordingly. Delivery times are estimates and may vary. bioaccess.™ is not responsible for lack of performance due to major events beyond its control.